Following a recall (for new labeling) in 2007 and a warning late last year as injuries persisted, five consumer groups including CALPIRG have called on CPSC to take further action on the Bumbo International Baby Seat, including a recall of the current design. While much attention has been paid to the fact that many of the injuries (31 skull fractures and other serious injuries) have taken place when the seat is used on a raised surface, less attention has been paid to the numerous injuries, including skull fractures, when the seat is used as intended on the floor. Most parents are probably also unaware that unlike bouncer seats, high chairs, booster seats and other products they may use with their infants, there are no safety standards or safety testing required for seats like the Bumbo. The Bumbo is a popular infant product, but the groups believe it can be redesigned to address the safety concerns. The groups are US PIRG, Consumer Federation of America, Consumers Union, Public Citizen and Kids In Danger. Please see full letter below. As representatives of public health and consumer safety organizations, we write to express our serious concerns about Bumbo International’s Baby Seat. While it is has proven to be a popular product that helps babies to sit up before they are developmentally able to do so, its safety record raises serious concerns. In 2007, Bumbo International working with the U.S. Consumer Product Safety Commission (CPSC), recalled the baby seat, after 28 reported injuries from the product. Three of these injuries were skull fractures in babies between the ages of 3 to 10 months, resulting from the chair being used on elevated surfaces, such as a table. Bumbo International cooperated with the voluntary recall and agreed to add a special warning instruction on the chair, "WARNING - Never use on a raised surface. Never use as a car seat or bath seat. Designed for floor level use only. Never leave your baby unattended as the seat is not designed to be totally restrictive and may not prevent release of your baby in the event of vigorous movement." However, subsequent injury reports caused CPSC to issue another warning for the product this past November. CPSC is now aware of 33 skull fractures. According to CPSC data there have been 95 additional injuries since the 2007 recall. Fifty of these injuries occurred while the product was used on the floor as recommended or its use position was unclear. There are two recent postings to SaferProducts.gov listing injuries from the product as well. Warning labels have generally been shown to be ineffective in reducing injuries and that is specifically evident with this product as well. Because serious injuries are occurring when this product is used as intended, and since these injuries involve an alarming number of skull fractures we have grave concerns about the safety of Bumbo International’s Baby Seat. Unlike other products intended for the same age range such as bouncers and stationary activity centers, there are no safety standards or testing requirements covering this type of product. 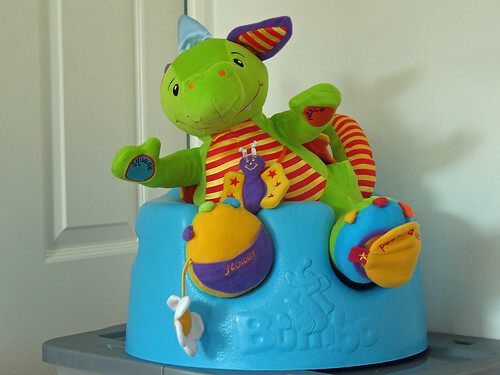 In addition, manufacturers of similar products have made design changes to address the safety concerns associated with these types of products– a step Bumbo International has refused to take to date. Our organizations urge CPSC to issue a recall of Bumbo International’s Baby Seat to remove these potentially hazardous products from the market and to allow the manufacturer to address the serious safety concerns in the future.